I just heard the best LDS parenting advice, EVER! The terrible twos are in full force in this house, and Lincoln's very spirited nature has made it even more of a struggle for me as a of late. I have been reading a lot, praying a lot, and crying a lot in order to know how to change my parenting to better suit Lincoln's needs. My friend, Jenni, recommended I take the talk on tape she was donating at our last Relief Society activity (wich was a stuff swap activity.) 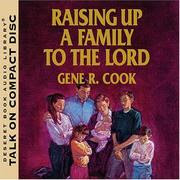 It is called, "Raising Up a Family to the Lord" by: Gene R. Cook. Image Credit: The talk on tape comes on CD, too aparently. We have a tape player in our Jeep, so I happily and easily claimed it because no one else had a tape player to use. :) Squire and I listened to it on the way to and from church. We were hooked by the excellent advice, engaging stories, and humerous jokes of Elder Cook. So, we decided to go on a drive with the kids later Sunday night to finish listening to it. My energy and ecitement and hope in the parenting arena went up ten-fold after listening to the talk. I had to buy the matching book to study more and to keep in our library. In this post I share this and many other resources we have found for creating a Christ-centered home. A good friend of mine who does not yet have children of her own, sent me a message about a month ago asking for any resources I had for creating a Christ-centered home - especially ones that are helpful with little children. She is wanting to work towards putting some of those resources together before she has children. So, I gathered a list of those resources for her, and now I want to share them with all of you. Every day we read scriptures together as a family. My set of scriptures have all of these scripture stickers in them. They are see-through pictures that illustrate the point of scripture mastery/preach my gospel scriptures. I let Lincoln pick a picture, and then we read and discuss that section of scriptures. The picture really helps keep him focused and interested. If you don't want to spend any money and/or if you want the accompanying summaries of the stories, you can find that all online at this link. 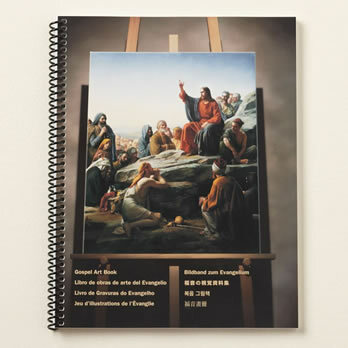 The Gospel art kit is a great and easy way to do FHE's (Family Home Evening) for kids. I think of a scripture story or a principle I want to teach, and wherever possible I include a picture from my kit so Lincoln has something to look at during the lesson. He can point and ask about the picture, and I have something physical to help explain more abstract concepts or stories to him. Also, there are summaries that help me refresh my memory on details of the story which is very helpful. This link to the church's website on resources for teaching children. This link is GOLDEN! 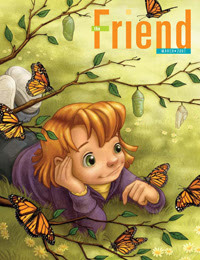 It has activities, stories, coloring pages, and so much more all organized by lesson manual, topic, and kind of activity. Every time you teach an FHE lesson, you can make it extra special by simply searching by topic and printing up a coloring page or lesson supplement. If no one in your family plays piano, you can still very easily incorporate music into your FHE's and daily life with kids with the church's music site or you can buy the Children's songbook set. I also know the church puts out CD's each year for the songs that will be sung for all the Primary programs. I think I will purchase those once Lincoln starts going to primary, so that we can listen in the car and he can learn the songs easier. On Sundays, we only listen to gospel-related music: we have EFY CD's, Mormon Tabernacle choir, Mindy Gledhill, etc. Sometimes we like to listen to the Mormon Tabernacle choir station on www.pandora.com, too. Also, to keep reverent spirit during weekday mornings, we sometimes like to listen to classical music. In addition to the pictures from our gospel art kit, I also like to utilize the LDS Media Library for its videos whenever I can. For a recent example, for FHE before General Conference we had a lesson with Lincoln about prophets being "Watchmen on the Tower." I was able to find an old seminary video made on this subject, and Lincoln loved watching, "Again! Again!" he asked after it was over. The Church has recently produced beautiful videos on Christ's life that are divided up into short segments. Perfect for family night lessons. Those Bible Videos can be found here. Screen shot of this site. File folder games are great activities for church to help keep the kids quiet during sacrament meeting, or as FHE activities. 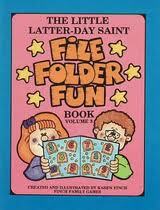 Deseret book and other church bookstores carry file folder Game books like these. I own one of these books. The ladies in my ward just got together last month for a file folder co-op group. We each colored the pages for one file folder game, and once we all submit our finished pages by scanning them in an email, the secretary of the group will sent them all back out to us in a zipped email, and now we have about 20 file folder games each, and we only had to color one ourselves. Lincoln absolutely loves his one file folder game, so I am excited to make more. Some of these file folder game books come with CD's of the pages already in color that you can print if you want to completely save yourself the hassle of coloring. This is the file folder fun book I own. You can find all these books at this link. Sugardoodle has lots of free printable file folder games and TONS of other resources for LDS families and leaders, too. We have a large picture of Christ and a temple hanging on our living room walls. I have found that these have been helpful tools in daily living to help Lincoln recognize who Christ is, and how we feel about Him, as well as to recognize and love God's house. Lincoln will point now and say, "Geeze!" (Jesus) "That's right Lincoln. That IS Jesus. And we love Jesus!" My friend bought some great scripture story flannel boards and packets for Lincoln for his birthday. Flannel story boards are fun way to get your kids interested and hands-on with learning scripture stories or to keep them happy during church. They can be pretty pricey, but you could also make your own very inexpensively. Here's a link to printouts the church has for free that you can print, color and attached to flannel for your own homemade board (here's a link on how to make your own flannel board.) The Friend sometimes prints these flannel board characters on their covers in color, as I mentioned earlier, so you could also just cut those out and laminate them and glue them to flannel as you see them pop up in your Friend magazine. Squire likes teaching FHE lessons by reading a story from the Teachings of the Presidents of the Church manuals on occasion. This is a nice, simple way to do FHE, and the stories often have pictures to look at while he reads as well. Every Sunday night, we read a story from our illustrated book of Mormon instead of a secular bedtime story. We own this one. This nice hardcover book was given to us as a gift by Squire's Dad. 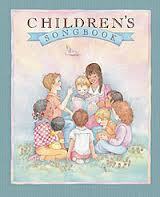 It is a very nice resource, but it is better suited to older children. Even though the text is out of Lincoln's grasp, the full-page color illustrations are very nice and Lincoln definitely enjoys them. 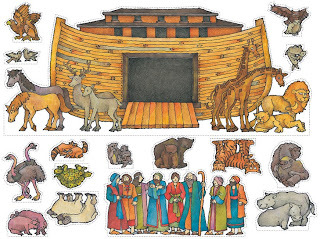 Any illustrated Book of Mormon or Bible story set is great to have with kids. 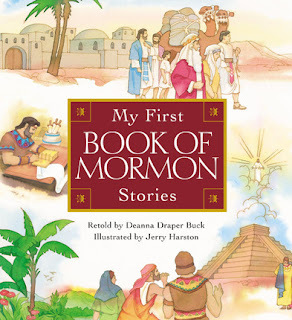 Here is a link to many different illustrated Book of Mormon story books. My little sister used this one. I would recommend it for toddlers as it is smaller and in board book format. In fact, I'm thinking of purchasing it for Lincoln and making him a scripture case so he can bring his own scriptures to church just like mom and dad! I try to incorporate our weekend/weekday activities into FHE lessons on Monday. For example one Saturday we worked on our garden as a family and then we had a lesson on Faith (being like a seed, etc.) on Monday. One Monday night we had some friends over for a hot dog roast in our back yard with our fire pit - we taught about the Brother of Jared molting the stones out of rock in the fire, and Christ touching them to light them up. One Saturday we went to our zoo - then we had a lesson on Noah and all the animals in the ark. Today, Lincoln and I made homemade bread. Then for FHE we gave some bread to our neighbors and then read a couple scriptures on how Christ is the bread of Life and watched the associated Life of Jesus Christ Bible video. I am always trying to look for ways I can tie spiritual concepts and doctrines, to Lincoln's physical experiences. I have found a few helpful blog posts on FHE's on Pinterest. If you spend any time on Pinterest, you can start an FHE idea folder so you can reference the blog posts later when you want them. This website, for example, is pretty awesome - it has over 120 Family Home Evening lesson plans for free. What resources do YOU use to create a Christ-centered home? Thanks for the ideas. Something else you can do is go through the Ensign (or Friend) and cut out the pictures and games for kiddos. Laminate them and bind them with a key chain ring. They are great for dry erase markers for the games and make your own gospel art book. It works well for home but also for Sacrament Meeting. Awesome idea! I definitely need to do this one. Little man needs more gospel-centered activities to help him during Sacrament Meeting. Thanks for sharing! One of our favorite ways to do FHE with our kids is using the Nursery Manual - Behold Your Little Ones. I'm not always sure if they get the lessons taught to them on Sundays, and even if they are, reptition is gold. But the lessons are obviously geared right for that age group and include activity ideas, pictures, and everything. Katelyn - Pin away! Haha. ;) Great idea about the Nursery Manual for FHE's. We'll definitely have to do that! Thanks for commenting! Great idea! I'm pretty sure my little guy doesn't get lessons very often. I know everyone is doing their best, but I like the idea of getting the manual to fill in that gap. I love your ideas, Jami! I've been feeling so strongly that our home could be more spiritual and wanting to do more to make it so. Something that I try very hard to do, is let Georgie and Jonah know when I can feel the spirit. If we're snuggling, or playing a game, or talking about something spiritual, I try to tell that I feel good inside and happy, and that it's the spirit. Or sometimes I'll ask them if they feel happy/good inside first. Also, when mistakes are made, I ask them if they feel good or bad inside. I believe recognition of the spirit and LEARNING to recognize it is important. I didn't realize what the spirit really felt like in normal, day-to-day living until I was a teenager, and I didn't realize how important it was that I learned that, until I was an adult. YES, YES, YES! I believe that teaching your children to recognize the Spirit is one of the most important things we can do as parents for our children, too. That is something my mom did so well with all of us. You should really read that Raising Up a Family to the Lord book (or listen to the tape/cd. )I bet you would love it, Cous. Cook has several suggestions on how we can assist our children in forming that personal relationship with God so that it sticks. So, hopefully they'll help with Sacrament Meeting and learning the prophets of the Book of Mormon. Great ideas Jami! Some additional ideas...There are LOTS of videos the church has put out lately that are great. Allie loves them. And I think it's so important to be consistent in prayers. Even if kids can't sit still and are distracting, it's important to teach them early to fold their arm and participate in prayers in the morning, meal times, and bed. Since Allie was less than a year old, she knew when prayer time was and she would fold her arms. Now sometimes I find her kneeling by the couch, mimicking what Chris and I do when we say our personal prayers, which she sees often. Oh I love this Jami! Can I please be like you when I grow up?!? Oh, Adrian! Stop making me blush! Haha!